Alzheimer’s disease (AD) is a progressive neurodegenerative disorder characterized by the presence in the central nervous system of extracellular amyloid beta (Aβ) plaques, intracellular neurofibrillary tangles, translating into memory defects and cognitive impairment. 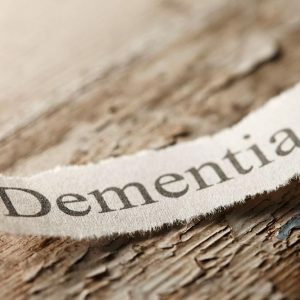 AD is the most frequent cause of dementia and one of the most disabling conditions in the aged population. This disease, which concerns nearly 50 million people worldwide, is likely to increase due to the increase in average life span in many countries. Currently, there is no efficient treatment for this disease. Preclinical studies on the disease-modifying effect of NP03 in AD have been conducted in the McGill-R-Thy1-APP Alzheimer transgenic rat model, in collaboration with the laboratory of Pr. Claudio Cuello (McGill University, Montreal CA), internationally known for his research on this disease and founder of this model. See full text paper here. A phase I study has been completed and a phase II clinical study is planned for the treatment of psychosis associated with AD.